About an hour from my house, there is a really cool place called Phillip Island where you can go and see a parade of little penguins. They are amazing to watch and are a major tourist attraction. Also often called fairy penguins, these cute little guys grow to only about 33 cm tall, making them the smallest species of penguin in the world. Little penguins are active during the day, swimming out to sea to hunt their prey, which includes small fish, squid and krill. They keep their feathers waterproof by rubbing oil that comes from a gland on their tail all over their bodies. They also moult their feathers once a year which means that they can’t go swimming for a couple of weeks as they won’t be able to keep warm in the water. Their nests are made in small burrows, under logs and in small caves. They lay 1-2 eggs and both the male and female help to incubate the eggs and feed the chicks. They are the only penguins in the world that can raise more than one set of chicks per year. 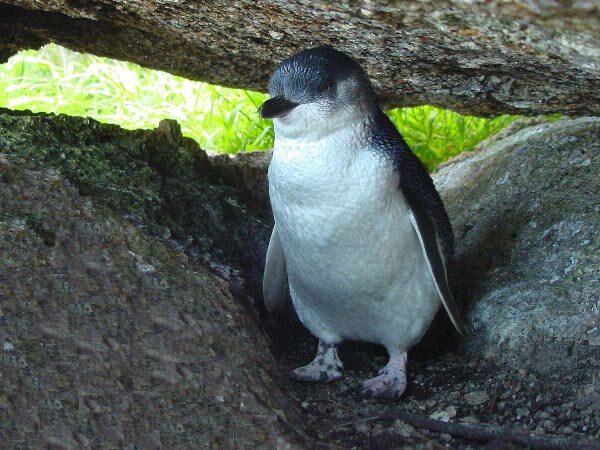 Little penguins are found throughout southern Australia and New Zealand. They are also occasionally found as far away as Chile and South Africa. Whilst their numbers in some areas have dropped, they are still quite common and are not considered in danger of extinction. Are there any other interesting facts that you would like to share about little penguins?